INDO Lighting recently announced the launch of AIR2, the latest addition to its growing line-up of Direct Drive® exterior LED street lights and retrofit products. For specifiers of outdoor functional lighting, AIR2 redefines performance standards by delivering a step change in maintenance requirements and lifetime within an increasingly streamlined fitting. Packed with innovative technologies that have been designed and manufactured in the UK, from the ground up by INDO, AIR2 (like its little brother AIR1) has no bulky, unreliable driver and features its own, integrated photocell to deliver class-leading reliability and lifetime. AIR2 is now dimmable down to 10%, suitable for all 35-250W replacements projects and engineered to be the lightest fitting of its type on the market, making one-man installation quick and easy. Whilst improvements in LED technology have extended usable lifetime of LEDs to in excess of 250,000 hours, the traditional LED driver still limits the luminaire’s life and needs replacing every 5-7 years. As Rebecca Hatch, INDO’s Commercial Director comments; “Street lighting asset owners are under increasing pressure to improve the service and value offered to the public, so AIR2 is perfectly placed to enable even greater savings and efficiencies. Whole life costs and all the associated risks that maintenance activities pose are significantly reduced by not needing a driver. INDO luminaires only require cleaning and testing as part of a regular, controlled maintenance schedule and there are no driver replacement costs to account for either”. The AIR2 luminaire is IP66 rated and houses a pressure equalisation valve to ensure the LEDs do not degrade over time, the modular design is future-proofed withautomatic disconnect to enable upgrades without any onsite re-wiring. 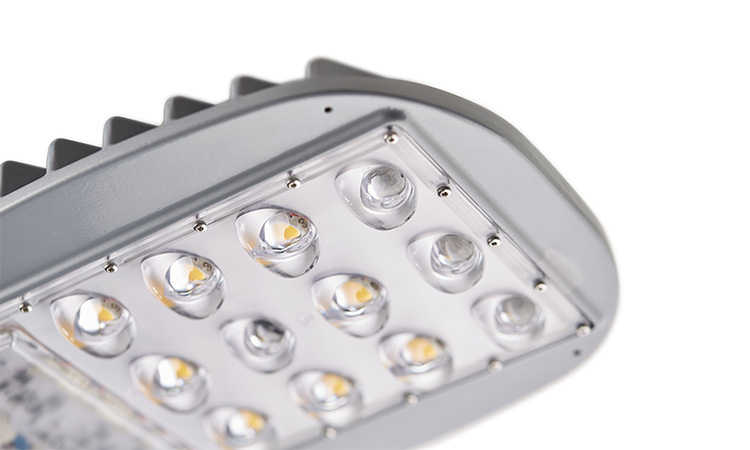 Chip on Board (COB) technology delivers market-leading light quality, efficacy and lumen maintenance (115,000 hrs at L90B50). Five optics hit a wide range of main road, conflict area and residential applications. Thermal management is, of course, key to optimising LED performance and lifetime. Here again INDO is innovating on luminaire design by mounting all circuitry directly to the heat sink. This more holistic approach ensures every single element of the system is monitored and protected, including the LEDs, to ensure the entire fitting performs exceptionally well in any environmental condition. INDO broke new ground in exterior lighting technology with the introduction of Direct Drive® retrofit lamps for exterior signs and bollards in 2010. Today INDO is continuing to lead the way in street lighting innovation with dimmable Direct Drive® and integrated photocells a unique feature of the AIR product family. The team is dedicated to making the best, most reliable products on the market. Fit, forget and reap the benefits!